We have a kit available from our One Dapper Dude card making workshop! I've prepped the kit and it's ready to go...ready for you to make five masculine greeting cards (birthday, Father's Day, etc.) 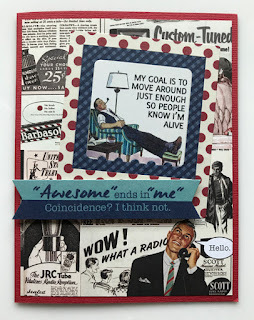 AND there's plenty of product included for you to make tons more on your own! The One Dapper Dude kit contains: Authentique's Dapper 6x6 patterned paper pad, coordinating 12x12 sticker sheet, bottle of Nuvo Crystal Drops (Navy), and everything [including embellishments (may vary) and envelopes] you'll need to create the five cards using the step-by-step photo-illustrated instructions. Postage to addresses in the continental United States is included. Hello! I've got some very exciting news to share with you all. 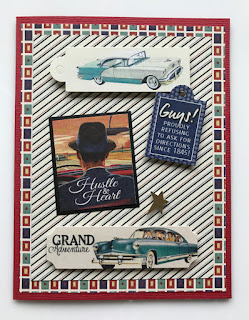 A brand new challenge blog is coming and I'm thrilled to say I'm joining the design team. 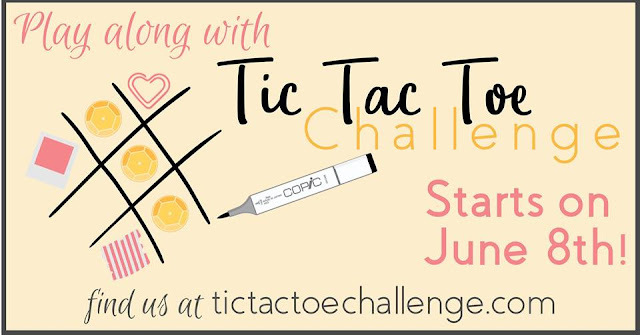 The new Tic Tac Toe Challenge is where all the fun begins on June 8, so go check it out! The concept is awesome, brilliant even! Each Thursday a new Tic Tac Toe board is revealed with nine inspiration elements -- and you choose three to create an original card using a row of three. Just like the game Tic Tac Toe, it's all about three in a row (across, down, and diagonally). All the details and rules are can be found HERE. 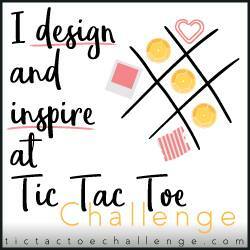 So, stop by the Tic Tac Toe Challenge blog and meet the fabulous design team, too. I'm so looking forward to sharing in the fun and inspiring you to grab a row on the brand new Tic Tac Toe board every Thursday. It all begins June 8 -- see you there! Here's wishing all you mommas a Happy Mother's Day! Whether you have human or furry kids, you deserve a big hug and something pretty to enjoy today. 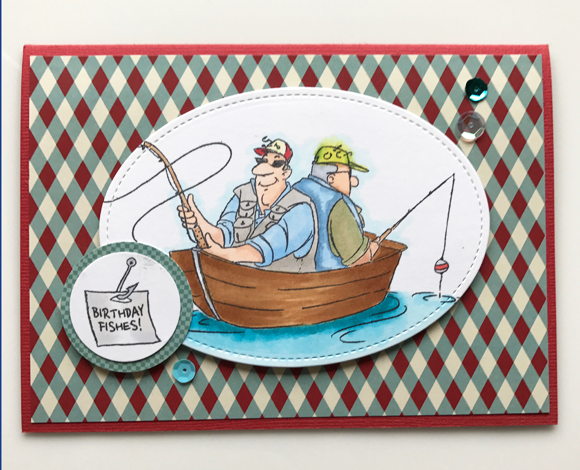 And since we're thinking about celebrating, we should probably start thinking about the guys in our lives, as Father's Day isn't far off. 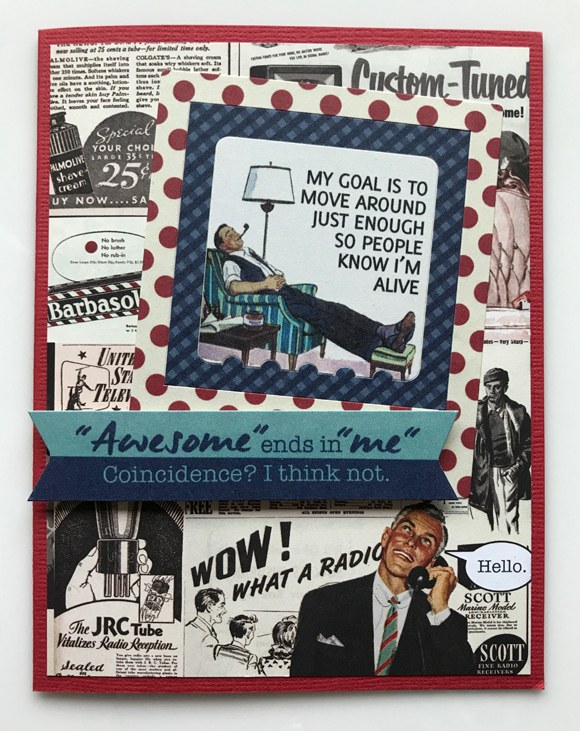 Or, you might have a masculine birthday coming up...or know a guy that just needs a smile put on his mug! 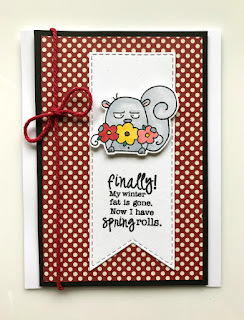 With these occasions in mind, I'm sharing a few of our May Card Making Workshop projects coming to the San Diego area in the next couple weeks. 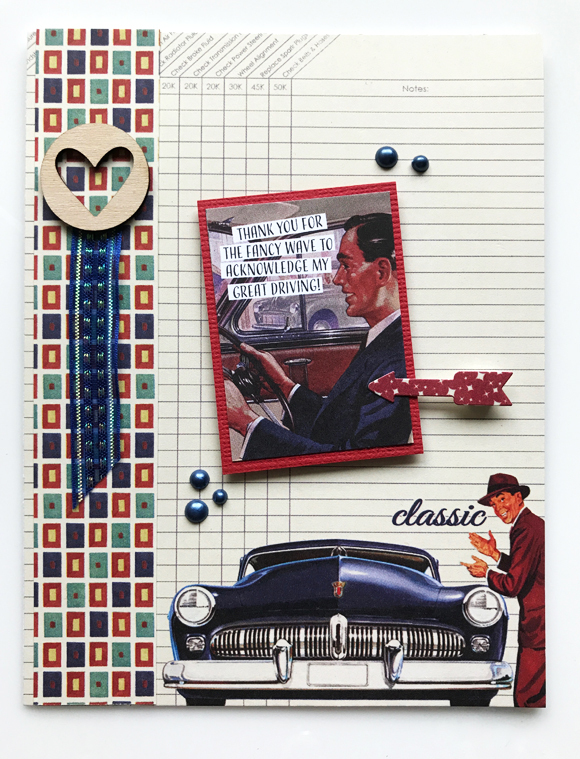 Below is one of my faves -- when I saw this new clear stamp set from Art Impressions at CHA, I knew I had to have it! How my fishermen do you have in your life?! I'm still lovin' the Nuvo Crystal Drops, too! 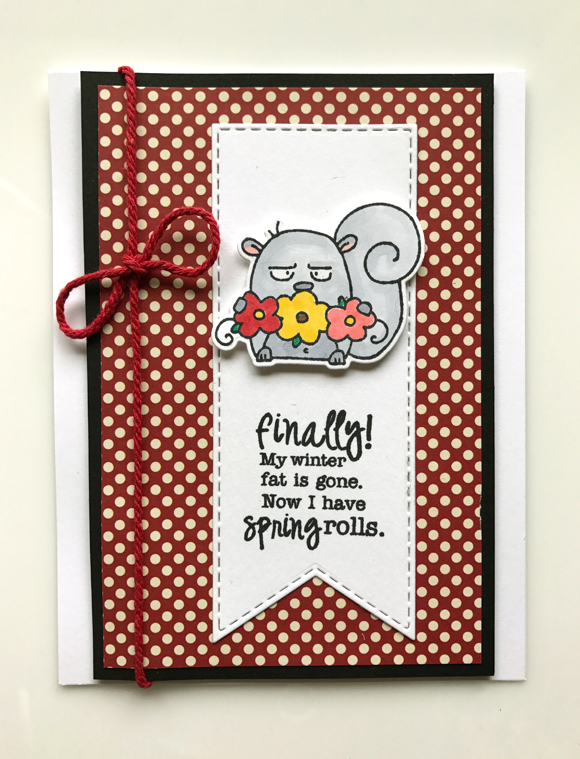 Remember, if you're in the San Diego area (or maybe coming for a visit), be sure to check our CLASSES tab in the menu above to see about joining us for an afternoon of crafty fun.